The Best iphone, ipad Puzzle Apps and Mechanical Puzzles: Buckets: A Puzzle Journey by Jeffrey Quach Free! Buckets: A Puzzle Journey by Jeffrey Quach Free! 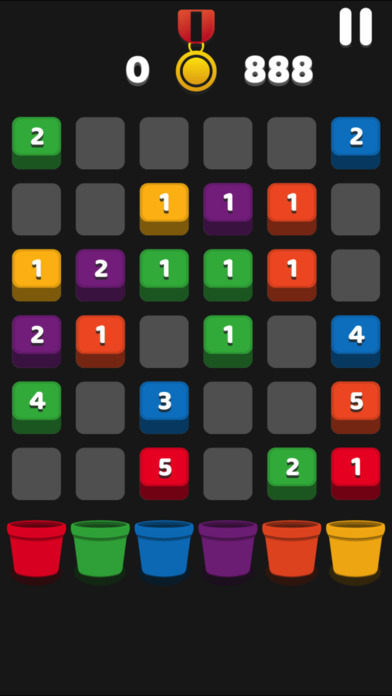 Buckets: A Puzzle Journey by Jeffrey Quach is yet another in a series of very good point-scoring-puzzle apps. The object is to slide the tiles row by row or column by column to line up the tiles to go into the buckets. After every move, a new tile is placed randomly. However, if you score points, no new tile is added. There's no rush. Patience is critical. A single game could last a very long time. My high score is 851, but it didn't make it onto the Leaderboard. But that's okay. I really like the graphics. Definitely download this and get on the Leaderboard. There's a definite addictive feel to it.